The outline of Steve Jobs’ life has been told so often there is not much to gain by regurgitating it. His hippie past, his co-founding of Apple and eventual ouster by John Sculley. His forays at Next and Pixar, which struggled before being sold to Apple to Disney, respectively. His triumphant return as CEO at Apple, his introduction of the iMac, iPod, and iPhones. His cancer, his death. His sour personality, and his focus on design. More interesting to me are themes which are hinted at, but not explored in great depth. What he learned from his failures, and how his second time as CEO was radically different from his first. During early yearls at Apple, then Next and Pixar, Jobs was manipulated, unfocused, and eager to embrace technology. His last years at CEO, during which he took it from near bankruptcy to being the most valuable company in the world, Jobs was more manipulate, he was more focused, and was more skeptical of the advantages of technology. During his early time at Apple, Steve Jobs displayed a lack of empathy and inability to build non-obvious support networks. His rivalry with John Sculley was not just bitter, but it was self-sabotaged. While Sculley took steps to prove himself to the Board of Directors and support internal stakeholders, Jobs felt free to alienate both. Likewise, while Sculley made extravegent shows of giving Jobs second, third, and fourth chances, Jobs insisted that Sculley be dismissed immediately. Sculley successfully manipulated the environment such that the Board insisted twice that he dismiss Jobs: imagine being in a position all important stakeholders are insisting on your approval to fire your rival! Jobs was wiser after his return. He became a patron of the Marketing and Design departments, ensuring internal support for initiatives. He also chose a board that was generally supportive of him, removing Board Members like Eric Schmidt when they showed signs of independent thought. Just as Sculley had, decades earlier, maneuvers for the board to beg him to fire Steve, Jobs maneuvered for the board to beg him to return as CEO. During his early time at Pixar, Jobs was unfocused. The company burned through a large amount of money attempting to break into medical imaging and other fields. The whole time (at least according to Walter Isaacson’s biography), Jobs’ passion at Pixar were its work in animation, both providing equipment to Disney and especially the films created by the artistic staff. Jobs would not make the same mistake at Apple: instead products were killed for the good of the company, and apple even dropped the “Computer” from its former name of “Apple Computer, Inc,” to emphasize it was primarily in the devise business. During his early years at Apple and Next, Jobs demanded clean, fully automated, high-tech assembly lines. Now, as Mike Daisey states in his amazing one-man play, The Agony and Esctasy of Steve Jobs, we live in a world made by hand. You may have more phones in your household made by hand than your parents did at your age. Our handicraft world was made possible by Steve Jobs, recognizing his early failures by trusting machines against economic sense, and of course Apple’s Chinese suppliers. There’s a ton more in the Steve Jobs biography to read. I strongly suggest you do. In spite of having earlier read Fire in the Valley, iWoz, iCon, and The Second Coming of Steve Jobs, I more than doubled my knowledge about Apple and Jobs by reading this book. But the most interesting lessons may be the ones least explored. 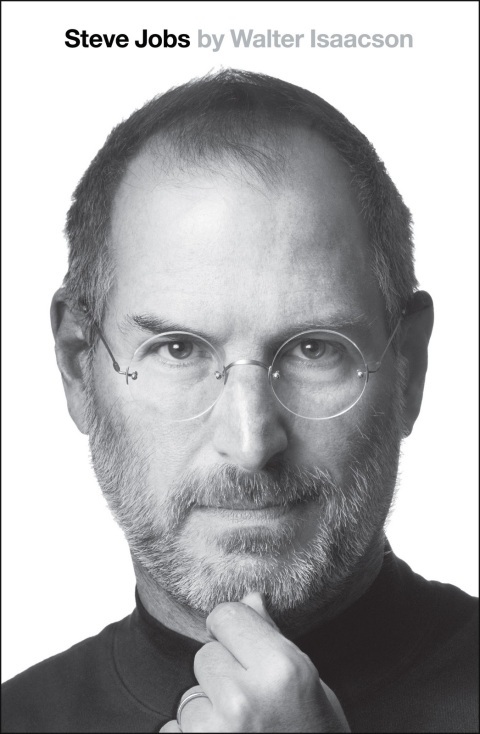 I read Steve Jobs, by Walter Isaacson, in the Kindle Edition. [Steve] Jobs also criticized America’s education system, saying it was “crippled by union work rules,” noted Isaacson. “Until the teachers’ unions were broken, there was almost no hope for education reform.” Jobs proposed allowing principals to hire and fire teachers based on merit, that schools stay open until 6 p.m. and that they be open 11 months a year. Jobs’ specific idea about increasing the quantity of school time will be good for students from dysfunctional (“low socio-economic status”) families. For everyone else, just moving past a point where we trust teachers and principals to set education policy will be a big improvement. Recently I was able to finish two great books on the history of computers: Crystal Fire: The Invention of the Transistor and the Birth of the Information Age and iCon: Steve Jobs and the Greatest Second Act in the History of Business. Both are excellent books, and written from different perspectives. iCon is essentially a high quality business book, and goes in depth on the management wars and personality conflicts that followed Steve Jobs through life. Crystal Fire is the story of the invention of the transister, starting with early CRT research and continuing until they revolutionized the computer industry. Crytal Fire revolves around the careers of William Shockley, John Bardeen, and Walter Brattain, three researchers at Bell Labs who would share the Nobel Prize in Physics for their invention. In light of Narain Gehani’s Bell Labs: Life in the Crown Jewel, it is fascinating that AT&T/Western Electric failed to be a leader in the semiconducter field because of its concentration on immediate application as opposed to research. Both Steve Joos and William Shockley got along poorly with others, and their careers are marked by those who cut ties with them and left them. While Steve Jobs has done this by both appropriate the inventions of others (Apple II, Apple Macintosh, iMac, iTunes) and becoming a force in several markets, Shockley’s great triumph comes from the industry of competing firms he left in his wake. ShockleyÂ was a great trainer and a terrible manager. Thus, he identified the best talent, taught them how to run a semiconductor firm, and quickly lost them to start-up after start-up. Interesting, the two stories converge in unexpected ways. A prominent character in iCon is Mike Markkula, who was CEO of Apple between 1981 and 1983, and would serve on the board until being forced out by Steve Jobs in 1997. Markkula joined the Apple saga as an angel investor with money he made while at Fairchild Semiconductor. Fairchild is the company formed by eight dissidents who the Shockley Semiconductor Laboratory.